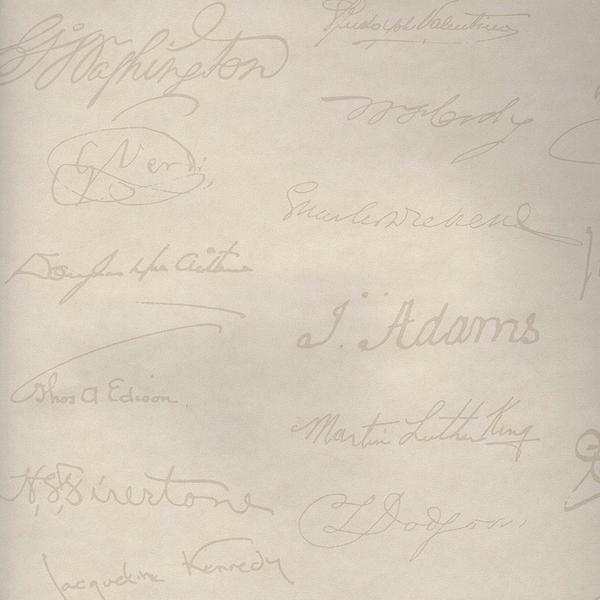 A unique wallpaper design consisting of famous signatures such as Bruce Lee, Picasso and Agatha Christie, set on a plain ecru background. This wallpaper will surround you with the greats of our time. 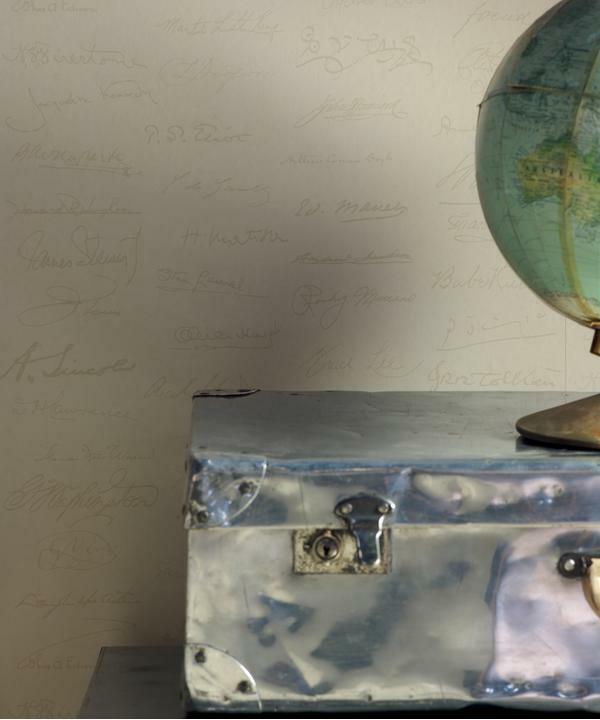 The signatures of artistic pioneers such as Matisse, literary heads such as JRR Tolkein and the iconic boxer Rocky all adorn this wallpaper but in colourways that don't make it too obvious. 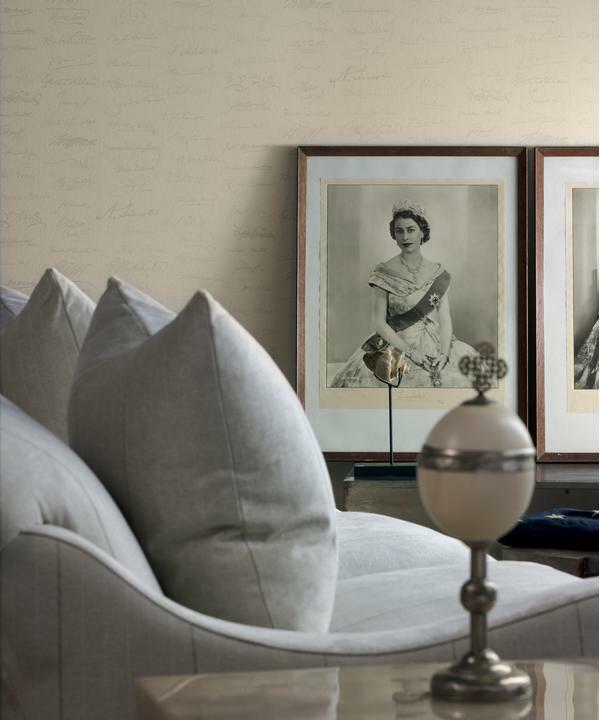 Autograph displays the theme of a passion for collecting which permeates through the Navigator Collection, combining a sophisticated intellectual feel with cosy privacy.